Maleficent – Disney 25th Anniversary Parade! 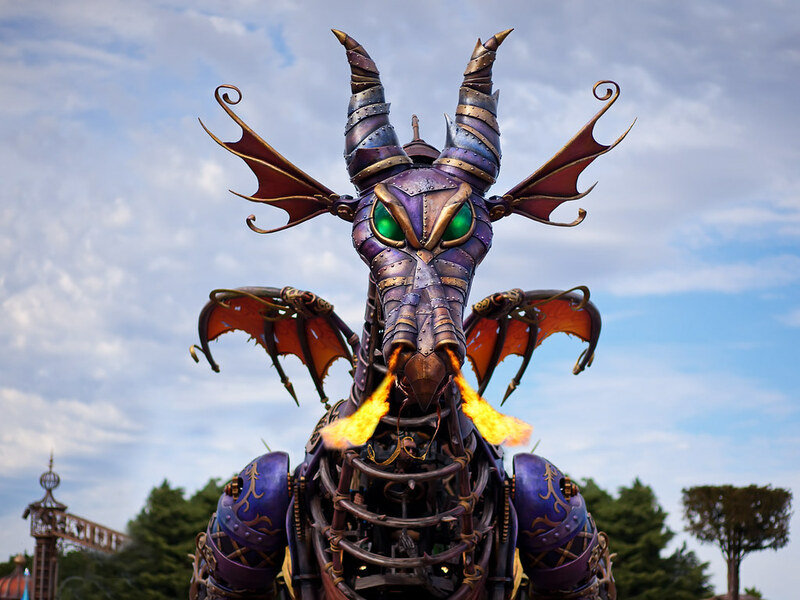 Another from the Disneyland Paris trip – this time a fire breathing mechanical dragon from the special 25th Anniversary Parade. A spectacular sight, the float measures 35 feet and is a steam punk inspired version of the dragon from Sleeping Beauty. Side note – I couldn’t get a shot of the actual fire from this angle so had to add these in from other shots I took. I made it look as if it comes out of it’s nose but the actual float has the fire coming out of it’s mouth!